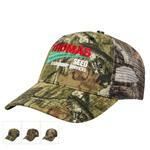 The Pro-Lite Custom Cap printed with Image Lock. Image Lock is a raised imprint with a high end look and feel that can capture detailed logos. 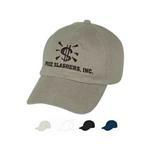 This cap features a structured cotton twill, adjustable fabric strap with Velcro® closure and a 3.25" crown. Price includes 1-color image lock imprint. Choose any solid or two-tone color combination in Black, Navy, Red, Forest Green, Royal, Burgundy, Stone, White, Khaki/ Black, Khaki/Burgundy, Khaki/Forest Green, or Khaki/ Navy. Then, add your custom logo! Embroidery available - please inquire. 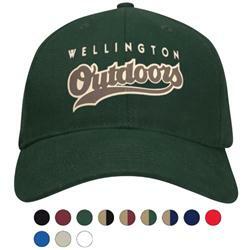 Available Colors: Choose any solid or two-tone color combination in Black, Navy, Red, Forest Green, Royal, Burgundy, Stone, White, Khaki/ Black, Khaki/Burgundy, Khaki/Forest Green, or Khaki/ Navy. 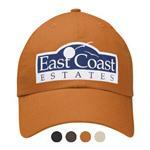 Available Imprint Options: Front of cap is included with image lock. Embroidery optional with approx. $2.25 additional cost for 5K stitches depending on stitch count for 144 or more. 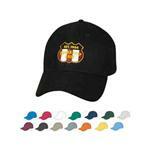 Inquire for cost of additional imprint colors.